Danny Cheng: "Steve Jobs, Shame on You! It is a shame that Steve Jobs has to bring Nokia into Apple's problems.. I have never seen this sticker on the back of my Nokia phone ever. He was taking responsibility until he mentioned Nokia! Next time he should make sure his research is a 100% when trying to prove a point... So where are the pics from the web? If he didn't want to show it at the press conference, than he should post them on the Apple website/blog... Also Steve Jobs why bring other companies to your mess apple !" Nokia Blog: "Steve Jobs held a press conference today about the iPhone 4 reception problems. It resulted in free cases for iPhone 4 owners and waived return fees for unsatisfied buyers. 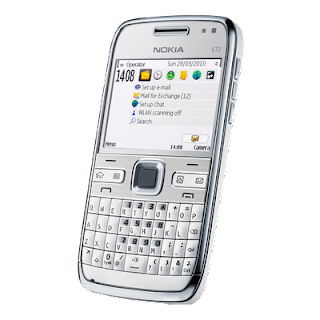 He also claims left-handed "death grip" bar-dropping problem on the BlackBerry Bold 9700, HTC Droid Eris, and Samsung Omnia II, and also mentioned Nokia during the conference by saying, “You can go on the web and look at pictures of Nokia phones that ship with stickers on the back that say ‘don’t touch here’.” A couple of hours after the Apple event, Nokia released a statement. In short, Nokia says antenna performance of a mobile device/phone may be affected with a tight grip, but they design their phones to ensure acceptable performance in all real life cases. If they are ever in conflict, they prioritize antenna performance over physical design. Read the full statement below. In general, antenna performance of a mobile device/phone may be affected with a tight grip, depending on how the device is held. That’s why Nokia designs our phones to ensure acceptable performance in all real life cases, for example when the phone is held in either hand. Nokia has invested thousands of man hours in studying how people hold their phones and allows for this in designs, for example by having antennas both at the top and bottom of the phone and by careful selection of materials and their use in the mechanical design."" Study: OMG, Facebook's Ending Tomorrow! What Do You Do? Danny Cheng: "If Facebook ending, I should buy their domain name, hehehe~~"
Fast Company: "What would Facebook's 500 million active users do if the world's largest social network were to be shut down? Better yet, what would you do? 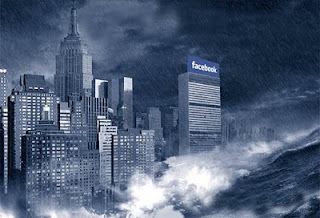 That was the topic covered in a study conducted at Stanford by Andreas Weigend, the former chief scientist of Amazon, who asked respondents to imagine a scenario where Facebook were shut down and all its data destroyed. Can we live without the service? The results provide insight into what matters most to users of social networks. According to the study, approximately 40% of respondents would back up photos, compared with the 38.7% who said they would back up contacts, which suggests that pictures are just as important to social networking as having contacts. "Photos are a very important way to maintain richness in social relations," says Chuanyang Chee, who helped Weigend conduct the study. Indeed, the study attempts to show how social networks are important in creating a "collective memory," and how its features, such as photo albums, help contribute to "each individual's online autobiography." About 38% of respondents said photos were Facebook's most important feature, whereas only 28% said the newsfeed was its best feature. Of course, a smaller percentage of respondents provided a refreshing answer to the question: They would do nothing if Facebook were ending. Chee says that this small segment actually didn't care about whether their Facebook account were deleted, but only because they either "already backed up all their contacts or because they use another program to store all their photos." Still, there were some--an unfortunately tiny fraction of respondents--who would not be concerned if Facebook ended, even if meant losing all their data. "These are people who are in touch with their close friends--they already have all their necessary information," explains Chee. "So it's not as important to them to stay in touch through Facebook." Wait, friends exist outside Facebook?